Artists often ask me which brand of hard pastels I use, as well as what specific colors are in my portrait palette. Well, to answer this question once and for all, I've created a chart of my favorite NuPastel portrait colors, along with a collection of grays that I keep in my portrait palette. 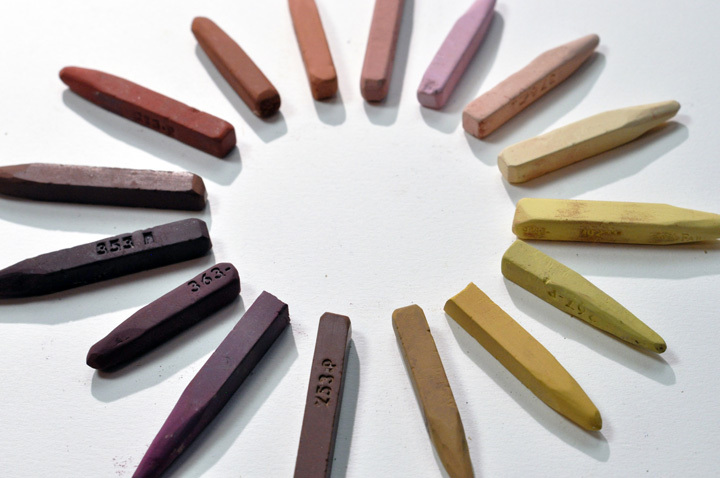 I purchase these NuPastels in single sticks online from resellers like Jerry's Artarama. All the numbers on this chart correspond with the official NuPastel color chart numbers, so you can easily order them yourself. If you want to learn how to sharpen these to a point, watch my video where I given a demonstration. I hope you find this helpful!